The boys had been home all day. This is a recipe for disaster. Mad Dog had wanted to watch his Steelers in the afternoon and I went to see a movie. When I returned home, swords were flying, T.Puzzle was crying in spurts and the energy level within our home had reached a dangerous level. Since the football game was winding down I suggested we take them to dinner. We decide to take them to the recently opened Panera. The boys are wild once we are inside and I have to drag them to a booth so Mad Dog can order in peace. They are boisterously loud with their assorted cars and train engines. I try to shush them to no avail. “Mom, it’s the CARS that are being loud, not US,” explains Full Speed. The food comes and T.Puzzle decides he hates his food and his drink. He is shimmying up and down and all around the booth. I’m trying to breathe deeply to cope. All I really want to do is staple him to his seat and force him to eat his overpriced grilled cheese. Alas, no stapler is handy so,……deep breaths instead. “Mom, I have a surprise for you when we get home,” says Full Speed. “Is it a nanny?” I ask. “No, it’s my soccer game,” he replies. I know that sounds adorable but the soccer game is one that he got in his stocking and he doesn’t like it. It frustrates him because he can’t master it. Therefore he is constantly “giving” it to me and his brother. I had that moment in the booth where I wished my life was different. 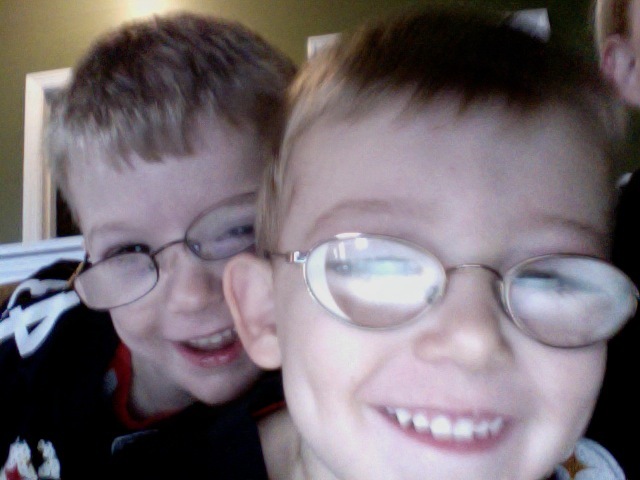 I wished my boys were calm and mild-mannered. I wished that I could eat a meal from start to finish without having to pay a babysitter or wait until nine o’clock at night to do so. I wished that my boys shared their thoughts and emotions in quiet tones and only cried because they were genuinely sad and not genuinely throwing a manipulative tantrum (such as the one T.Puzzle was currently presenting to me). Those wishes are far off and possibly may never happen. All I have to survive on is the hope that someday I will find my equilibrium in motherhood and that the personal sacrifices I have made (and they are different for every Mom and every caretaker out there) are worth it. Keep reading and let’s hope that together we find that balance in all our lives…. ok this line is soooo funny- “Mom, I have a surprise for you when we get home,” says Frack. and Frack is funny that he keeps trying to give away his game! lol your boys are great! I actually said that about the nanny. I hope my boys acquire the subtlety of sarcasm soon, otherwise they are going to be in for a long and difficult childhood.